Jamie is a regular performer at the Royal Variety After Show Party and has performed at hundreds of prestigious events all over the country – The England Rugby Team’s briefing talk, Jamie Carragher’s Official Retirement Dinner and New Years Eve at The Shard, to name just a few. 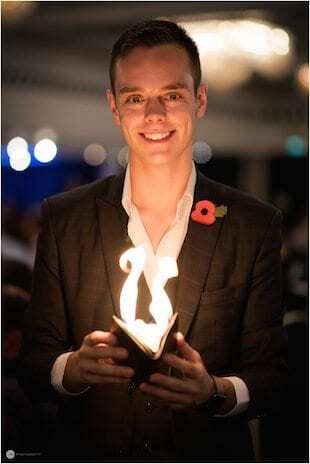 Not just a highly skilled performer, Jamie is a true entertainer and naturally makes people laugh and smile whilst performing magic. With well over 10 years of performing experience under his belt, you can be sure that Jamie’s the perfect choice of entertainment for your next event.